South America is the world’s most popular hunting destination for foreign sportsmen and women, with more than 20,000 hunters visiting annually. The majority of them come to experience South America’s legendary bird shooting. But South America is the best of both worlds for a hunter, offering outstanding big-game hunting as well as world-class bird shooting. Ducks, geese, pigeons, and perdiz (partridge) draw hunters to bird-hunting meccas like Argentina and Uruguay, but it’s the doves, estimated in the hundreds of millions, that have made this region famous. Doves and pigeons are considered agricultural pests in some countries and can be shot year-round. A South American dove hunt is an unforgettable experience and one that should be on every serious hunter’s wish list. South America is also known for its red stag hunting. Red stags were released into the Patagonia region of Argentina about 100 years ago, and they have thrived. There are many other free-range introduced species to hunt, including wild boar, water buffalo, blackbuck antelope, and fallow deer. In addition, in some countries you can hunt some of South America’s native species, such as capybara, collared peccary, brocket deer, and puma. In Santiago del Estero province, at Frias city you can enjoy the best pidgeon hunting. Daily maximum is 200 per hunter! Having woods for roosting and food in quantity, the pigeons are also found in great number. 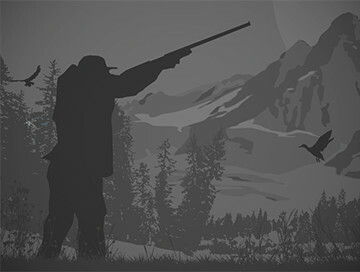 Although their habits are similar to those of the dove, the hunt uses stationary decoys like that of the duck. Plus, they fly fast as the Quail making this game a complete unnoticed challenge. We are a small business, you will be able to share the trip with Tomas. The package includes 3 days accomodation, meals & guiding, we estimate 2000 shoots per day. We offer free range hunting for red stag plus red stag skull for 5 nights lodging in the heart of La Pampa. Package is special offer, however it may be modified to meet clients’ requests. The package price doesn't include non hunters. 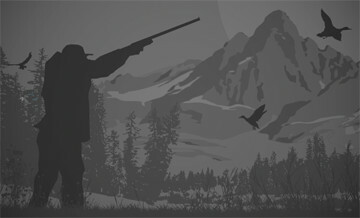 Additional days and non hunter can be added to the package by request.